Size does matter. Especially when it comes to buying appliances. Tiny houses, micro apartments, and basements being converted into rental producing units are all trending as developers and consumers alike strive to do more with less. Going small is getting big. Manufacturers have cottoned on and are downsizing appliances too. Compact dryers (and washers) are no exception. Here are five of the best smaller sized dryers for your compact life. 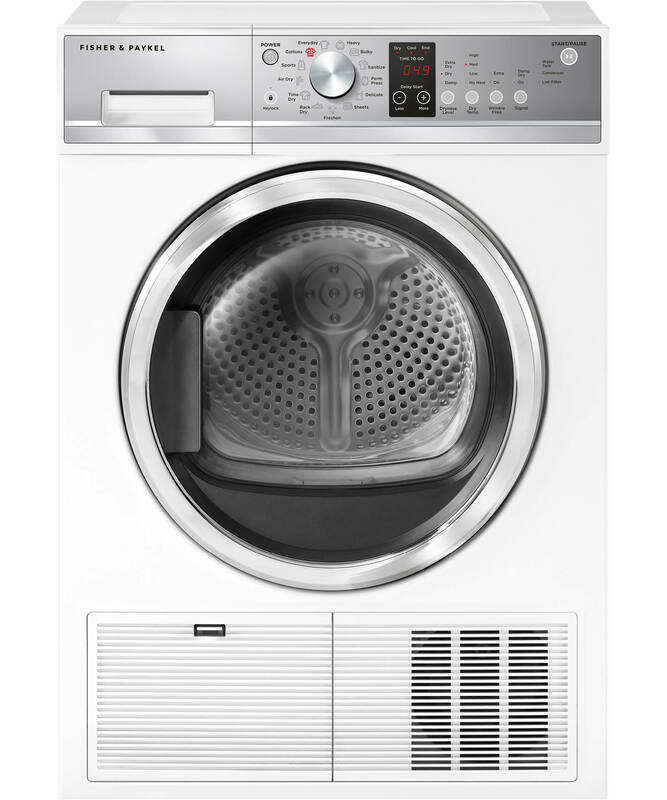 This efficient front load dryer has a reduce wrinkle feature that would be the envy of any Hollywood dermatologist. It leaves clothes flawless. Similarly, it has an HE sensor that measures moisture content to prevent over-drying. HE Sensor Dry means that shrunken sweaters and belly busting jeans won’t be part of your wardrobe as moisture sensors shut down your dryer when done. A Dura Drum interior is a galvanized steel drum, combined with tough polyester paint to provide long lasting dependability. A perfect partner for the GFW450SPMDG 27-Inch Front Load Washer. Say goodbye to expensive venting. This compact electric front load dryer can be conveniently placed in closets, basements or under stairs. It features 4 cu ft capacity, stainless steel tub and a quiet operation. Numerous Drying capabilities such as Reverse Tumble, Wrinkle Release, Gentle Dry and Delicate Dry, ensure the maximum longevity for your clothes. 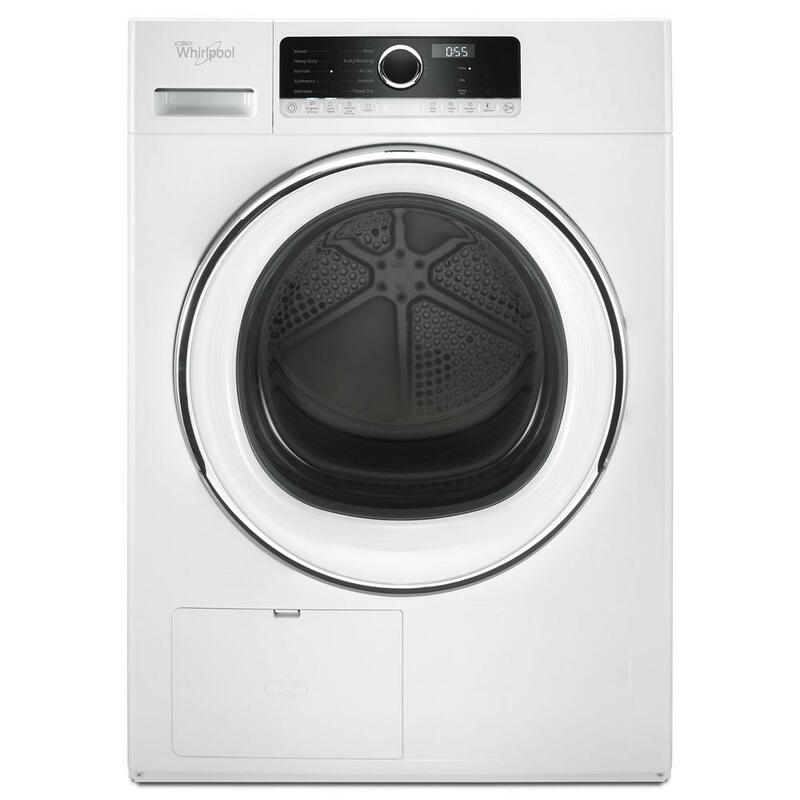 Touted as Whirlpool’s most space saving design available, this compact dryer has a 4.3 cu. ft. capacity and is a ventless model. Perfect for that unused nook or closet. A handy drying rack for the drum and an anti vibration feature mark this appliance out from many of its competitors. In addition this compact 24 inch-inch, 4 cu. ft. electric dryer has many of the features the others in this article have – gentle tumble, auto sensing and a number of different drying cycles. Easy To Use thanks to a large see-through door providing ample light. If you like your compact dryers with WiFi connectivity then this is the machine for you. It also has a 4 cu. ft capacity, a wrinkle block feature, 14 cycles, 9 options and is extremely quiet. Home Connect allows you to connect your smartphone to the dryer (and many other appliances) to monitor your laundry while doing other things. Couple it with a Nest Protect and your home appliances including your dryer can be controlled when you are not home. 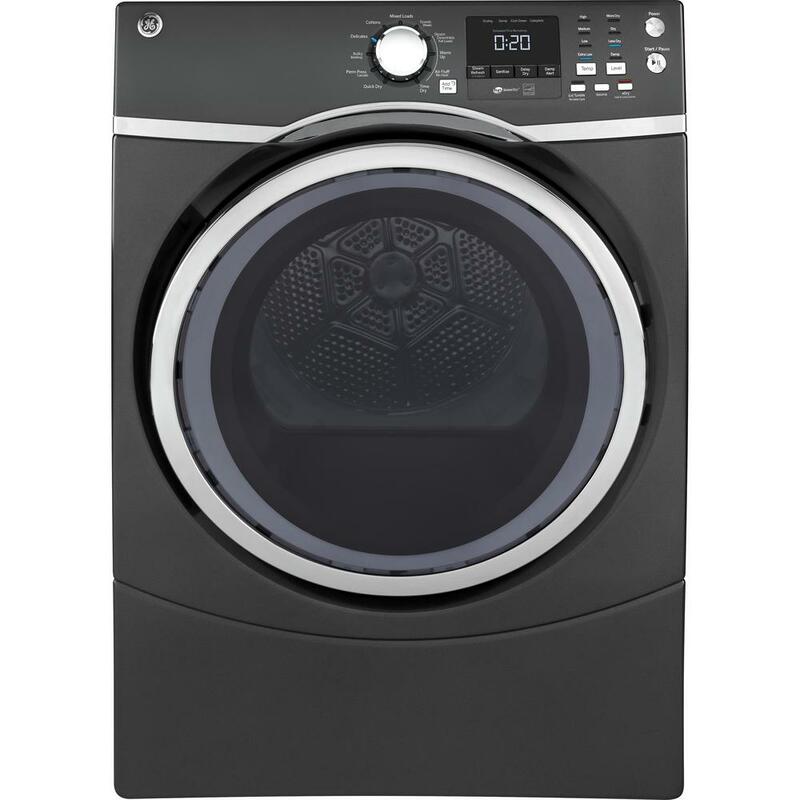 ENERGY STAR rating makes this one of the most efficient dryers in this size.